Celebrate Milwaukee's brewing history with the Milwaukee Drink Ticket. 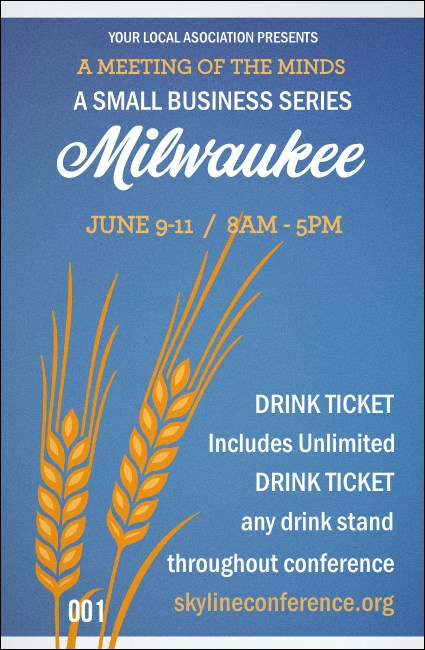 A pleasant blue background with golden wheat featured will remind your guests of two Milwaukee favorite - Beer and Brewers! Whether your guests prefer Miller or Leinenkugel, the Milwaukee Drink Ticket represents this Great City on a Great Lake!